Even a vegetarian would know what a T-bone is compared to a rump steak or scotch fillet, but these popular cuts are derived from a small percentage of the animal, and there are dozens more just waiting to make it to your dinner plate and inject a bit of variety into your everyday cooking repertoire. The great part is that many of the lesser-known cuts of beef are inexpensive, versatile and packed with flavour. And although their popularity is on the rise and they’re becoming more readily available, it’s worth giving your local butcher a call to ensure they have these cuts in stock before you commit to that new recipe. Coulotte is a flat, triangular, boneless steak cut from the cap of the top sirloin. It is rich in taste and texture but can lack tenderness due to little marbling and for this reason is often sold with a thick layer of fat still in tact. For best results, coulotte steak should be cooked at a high temperature to medium-rare or medium to ensure maximum tenderness. This cut is widely popular in Brazil, where they sear it quickly, slice it and then grill to medium-rare. Chef’s Tip: Always let your steak come to room temperature before cooking it and let it rest afterward. This low fat cut of beef is known for its exquisitely rich, full-flavoured taste and has long been nicknamed ‘butcher’s steak’ as, in the past, it was said that the butcher would secretly keep this cut for himself! In Europe, the hanger steak has been a popular menu item for a long time and in France it is known as ‘onglet’, a bistro and brasserie staple often served with fries. It can be great for marinating. Due to the rich beefy flavour, it will not be too overpowered by marinades. It’s also tasty with some simple salt and pepper seasoning pan seared or grilled on the BBQ. Best cooked to medium-rare or medium to maximise tenderness, we suggest using a meat thermometer to cook the meat to approximately 60 to 65°C. Chef’s Tip: Before cooking be sure to trim off the tough membranes and silver skin. Compared to other cuts of beef, the flank steak is tough in texture and devoid of fat, but is rich in taste. Many say that the best results are achieved when this cut is subjected to slow, moist cooking methods such as braising and stewing, and that grilling can work well if the steak is marinated for a few hours ahead of cooking. Others prefer to cook their flank fast, over a high heat to no more than medium-rare. It can also be sliced thinly and used in stir-fry and fajitas. Chef’s tip: Slice it against the grain. This is very important for a cut such as flank and is also easy to do since the muscle graining is so obvious in this particular cut. This triangular shaped roast comes from just in front of the hind quarters and is a versatile cut that some say should be cooked either very quickly, or else very slowly. It has a desirable flavour profile and makes a great roast, but also turns out wonderfully tasty when cooked slowly in a smoker. It can also be portioned into steaks for a quick and easy cook-up on the grill. Although a little known cut here in Australia, the tri-tip is better known in European food cultures. In Germany for example it is called the Bürgermeisterstück – the piece for the master of the town. Named so due to its resemblance of an old-fashioned metal flat iron, the flat iron steak is cut with the grain from the shoulder of the cow and contains significant marbling. 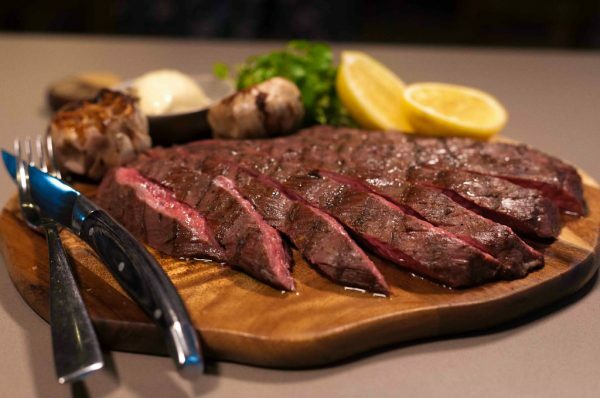 Once all the silver skin and gristle is removed from this cut, it is a lean, tender and juicy option – some say it compares in quality to scotch fillet. With its uniform thickness it’s ideal for grilling or pan sautéing, served between rare and medium. Brisket is basically the equivalent of a pork belly, but from beef. It’s generally separated into two cuts – the point end brisket and the navel end brisket (although some would argue that the beef navel or navel end isn’t really brisket). For the sake of cooking them, we’d say they both make the cut as brisket. 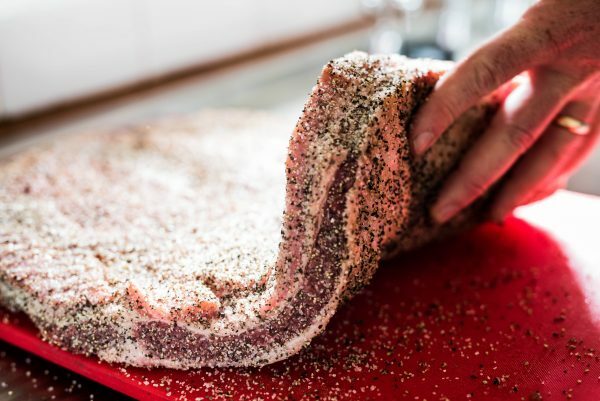 When it comes to cooking with brisket, you can smoke it like many keen barbecuers do, or you can make pastrami, cure it and some people even make homemade beef bacon, as well. Smoking or slow cooking brisket is the most popular method of cooking this cut as it gives the beef time to develop its flavour and become really tender. This is the way to go if you want pulled beef brisket to eat with tacos, on bread rolls, or even with pasta. If you’re keen to give brisket a shot, talk to your butcher about your preferred cooking method so they can pick you the perfect piece. Chef’s tip: When buying the whole brisket, ask the butcher to trim the excess fat and prepare it for smoking. A good butcher will know how to do this. 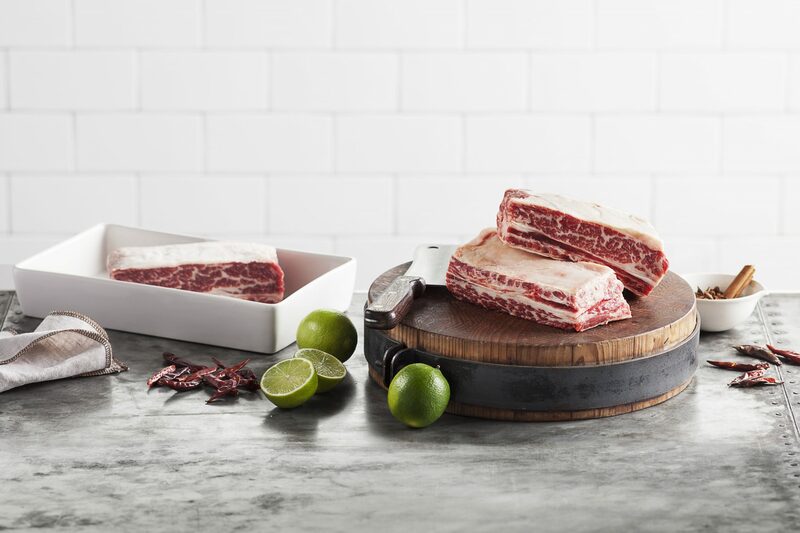 Beef short ribs are the equivalent of spare ribs in pork, but are usually larger and meatier than pork spare ribs. This cut of beef is taken from the brisket, chuck, plate, or rib areas of beef cattle. 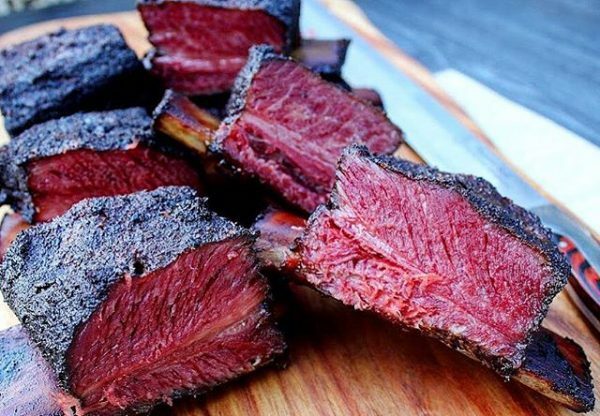 Short ribs consist of a short portion of the rib bone, which is overlain by meat varying in thickness. There are two major types of ribs: The “flanken”, which is cut across the bone and leaves the bone just 1 to 2 inches (2.5 to 5.1 cm) in length, and the “English”, which is cut parallel to the bone and leaves the bone up to 6 inches (15 cm) in length. These are best marinated and slow cooked. Next time you’re thinking of firing up the barbecue to entertain guests or are simply cooking a delicious homemade meal for the family, why not try something out of the ordinary and experiment with one of these lesser known cuts of beef.